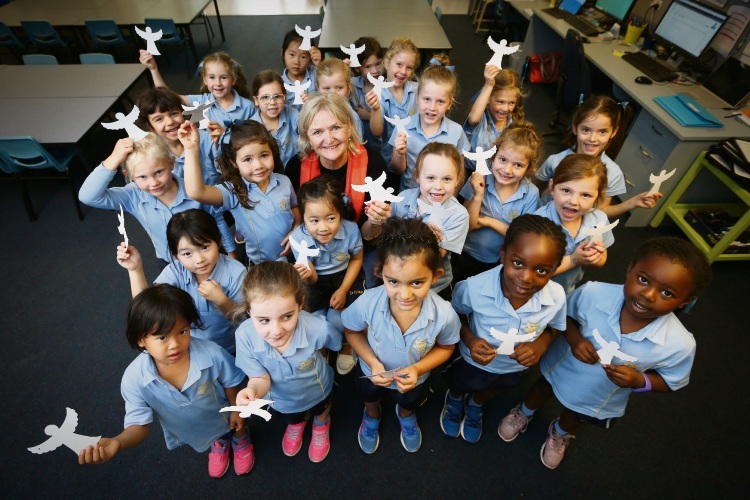 PRE-PRIMARY students from St Hilda’s Anglican School for Girls spent Thursday morning decorating Love Angels with Ros Worthington that will be used as centrepieces for a Mother’s Day fundraiser. The philanthropist passed on her pay it forward message to the youngsters ahead of The Magic of Mothers morning tea on Friday, May 10. Special guests will include Brenton Whitaker from Bali Kids, Sunrise Cambodia’s Geraldine Cox and Telethon general manager Marie-Anne Keeffe. The morning tea is at the Parmelia Hilton from 9.30-11.30am. Tickets are $65 at www.loveangels.com.au.